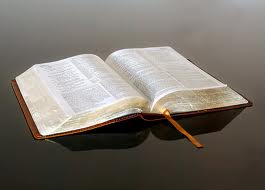 Bible study is the personal or communal study of the Scriptures, usually with a focus on the practical implications for contemporary living the Christian devotion. Book Review on Tim Keller’s and Sam A Sam Allberry’s. Explore By The Book: 90 Days in John 14-17, Romans, and James. There are several great features in this devotional. (1) It feels like you are sitting down with the authors and having a Bible study with them in an intimate setting (Sam Allberry writes the sections on John 14-17 and James; and Tim Keller writes the section that takes you through the book of Romans). (2) Each author walks you through verse by verse exposition and interjects thought provoking questions related to interpretation and application. (3) The devotional aspect of the study relates to guidance in ways to think, pray, and act on the basis of what the passage for the day articulated. Allberry and Keller ask great questions and draw excellent practical implications from each daily devotional. 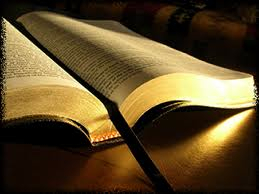 It is recommended by the author’s that you take notes and record the following for all 90 studies: (1) Record the highlight of the passage – the truth about God that most struck you; (2) Record the questions you have about what you have read and your best attempts at answering them; (3) Record the way/s you want to change on the basis of how the Holy Spirit is prompting you to change your attitudes and actions on regard to what you have read from Scripture; (4) After you have finished the study, record one sentence summing up how God has spoken to you through His Word; and lastly (5) Pray a short prayer in response to what you have been instructed to believe and do. I highly recommend this devotional – especially for new Bible students. It will guide you into becoming a “doer of the Word” as James 1:22 instructs. I know of no other single practice in the Christian life more rewarding, practically speaking than memorizing Scripture. That’s right. No other single discipline is more useful and rewarding than this. No other single exercise pays greater spiritual dividends! Your prayer life will be strengthened. Your witnessing will be sharper and more effective. Your counseling will be in demand. Your attitudes and outlook will begin to change. Your mind will become alert and observant. Your confidence and assurance will be enhanced. Your faith will be solidified. God’s Word is filled with exhortations to implant His truth in our hearts. David says that a young man can keep his way pure by treasuring God’s Word in his heart. The words “hold fast” come from a single Hebrew term, meaning “to grasp, seize, lay hold of.” Scripture memory gives you a firm grasp of the Word—and allows the Word to get a firm grasp of you! Solomon also mentions writing the Word “on the tablet of your heart” and having Scriptures kept within you so “they may be on your lips” (Proverbs 7:3 & 22:18). Now, I know you’ve been challenged to do this before. But is it happening? Perhaps you have procrastinated because you have mental blocks against it. Maybe you tried, but you either did not see the value or could not get beyond the method that was demanded by some memory program—little cards, booklets, check-up techniques, hearers, etc. Perhaps that seemed elementary and insulted your intelligence, I understand. Okay…forget the methods…but don’t throw the baby out with the bath water. Take your Bible, turn to a passage that’s been especially helpful…and commit that passage to memory—all on your own. Don’t learn just isolated verses here and there. Bite off whole chunks of Scripture. That way you can get the flow of thought God had in mind. (1) Choose a time when your mind is free from outside distractions…perhaps soon after getting up in the morning. (2) Learn the reference by repeating it every time you say the verse(s). Numbers are more difficult to remember than words. (3) Read each verse through several times—both whisper and aloud. Hearing yourself say the words help cement them into your mind. (4) Break the passage into its natural phrases. Learn the reference and then the first phrase. Then repeat the reference and first phrase as you go to the second phrase. Continue adding phrases one by one. (5) Learn a little bit perfectly rather than a great deal poorly. Do not go on to the next verse until you can say the previous one(s) perfectly, without a glance at your Bible. (7) Use the verse(s) orally as soon as possible. After all, the purpose of Scripture memory is a practical one, not academic. Use the verses in conversation, in correspondence, in teaching, in counseling, in everyday opportunities. Relate what you’ve learned to your daily situation. You’ll be thrilled with the results. 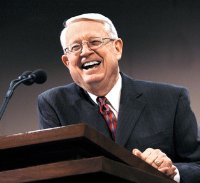 *Article above adapted from Charles R. Swindoll. 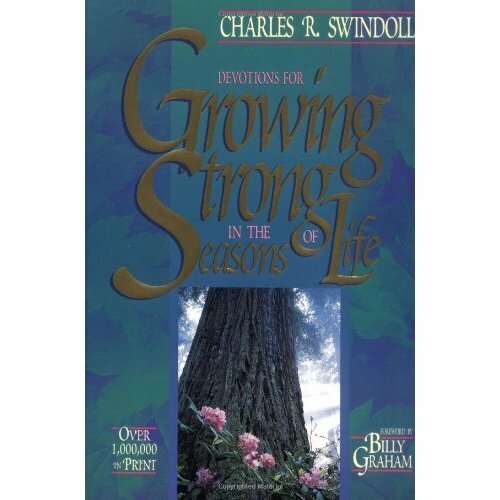 Growing Strong In The Seasons of Life. Portland, OR. : Multnomah Books, 1983, pp. 53-54. Chuck’s prolific writing ministry has blessed the body of Christ for over thirty years. Beginning with You and Your Child in 1977, Chuck has contributed more than seventy titles to a worldwide reading audience. His most popular books in the Christian Bookseller’s Association include: Strengthening Your Grip, Improving Your Serve, Dropping Your Guard, Living on the Ragged Edge, Living Above the Level of Mediocrity, The Grace Awakening, Simple Faith, Laugh Again, The Finishing Touch, Intimacy with the Almighty, Suddenly One Morning, The Mystery of God’s Will, Wisdom for the Way, The Darkness and the Dawn, A Life Well Lived, and the Great Lives from God’s Word series, which includes Joseph, David, Esther, Moses, Elijah, Paul, Job, Jesus: The Greatest Life of All, and his most recent addition, The Church Awakening: An Urgent Call for Renewal. As a writer, Chuck has received the following awards: Gold Medallion Lifetime Achievement Award, Evangelical Press Association, 1997 and Twelve Gold Medallion Awards. 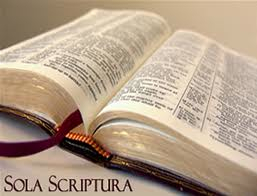 The Analogy of Faith – (Sacra Scriptura sui interpres) – Scripture is to interpret Scripture. This simply means that no part of Scripture can be interpreted in such a way to render it in conflict with what is clearly taught elsewhere in Scripture. 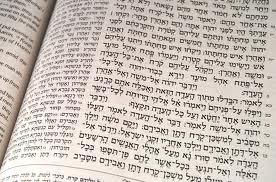 For example, if a given verse is capable of two renditions or variant interpretations and one of those interpretations goes against the rest of Scripture while the other is in harmony with it, then the latter interpretation must be used. Since it is assumed that God would never contradict Himself, it is thought slanderous to the Holy Spirit to choose an alternate interpretation that would unnecessarily bring the Bible in conflict with itself. The analogy of faith keeps the whole Bible in view lest we suffer from the effects of exaggerating one part of Scripture to the exclusion of others. Interpreting the Bible Literally – The literal sense offers restraint from letting our imagination run away in fanciful interpretation and invites us to examine closely the literary forms of Scripture. The term literal comes from the Latin litera meaning “letter.” To interpret something literally is to pay attention to the litera or to the letters or words being used. To interpret the Bible literally is to interpret it as literature. That is, the natural meaning of a passage is to be interpreted according to the normal rules of grammar, speech, syntax and context. The Bible may be a very special book, being uniquely inspired by the Holy Spirit, but that inspiration does not transform the letters of the words or the sentences of the passages into magical phrases. Under inspiration a noun remains a noun and a verb remains a verb. Questions do not become exclamations, and historical narratives do not become allegories. Literal Interpretation and Genre Analysis – The term genre simply means “kind,” “sort” or “species.” Genre analysis involves the study of such things as literary forms, figures of speech and style. (E.g. Miracles – Jonah; Hyperbole “a statement exaggerated fancifully, for effect” [see Mt. 9:35]; Personification “a poetic device by which inanimate objects or animals are given human characteristics” [see Isaiah 55:12]). The Problem of Metaphor – A metaphor is a figure of speech in which a word or a phrase literally denoting one kind of object or idea is used in place of another to suggest a likeness or analogy between them (e.g., Jesus saying: “I am the door; if anyone enters through Me, he will be saved.”). The Medieval Quadriga – The “fourfold” method of interpretation examined each text for four meanings: literal, moral, allegorical, and analogical meanings. The literal sense of Scripture was defined as the plain and evident meaning. The moral sense was that which instructed humans how to behave. The allegorical sense revealed the content of faith, and the analogical expressed future hope. Thus passages, for example, that mentioned Jerusalem were capable of four different meanings. 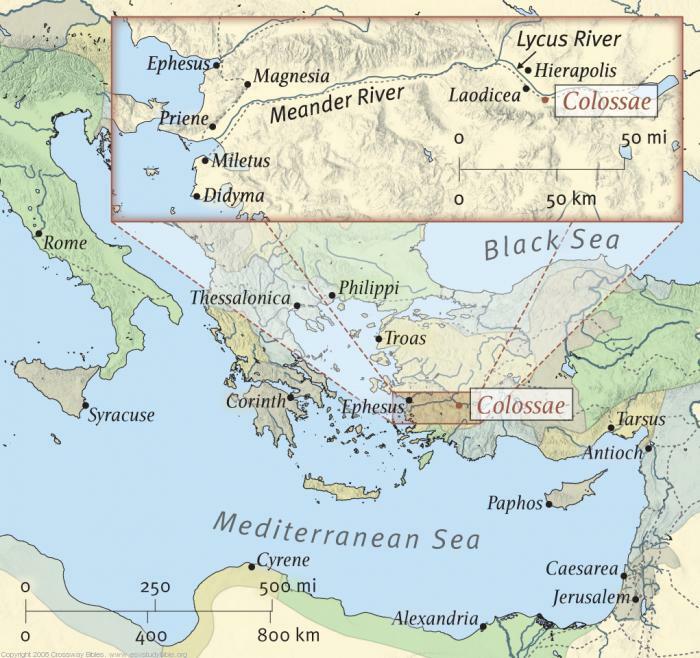 The literal sense referred to the capital of Judea and the central sanctuary of the nation. The moral sense of Jerusalem is the human soul (the “central sanctuary” of a person). The allegorical meaning of Jerusalem is the church (the center of Christian community). The analogical meaning of Jerusalem is heaven (the final hope of future residence for the people of God). Thus a single reference to Jerusalem could mean four things at the same time. If the Bible mentioned that people went up to Jerusalem, it meant that they went to a real earthly city, or that their souls “went up” to a place of moral excellence, or that we should someday go to heaven. During the reformation there was a firm reaction to this type of allegorizing. The Martin Luther rejected multiple meanings to biblical passages, he did not thereby restrict the application of Scripture to a single sense. Though a scriptural passage has one meaning, it may have a host of applications to the wide variety of nuances to our lives. The Grammatical Historical Method – The grammatical-historical method focuses our attention on the original meaning of the text lest we “read into Scripture” our own ideas drawn from the present. Grammatical structure determines whether words are to be taken as questions (interrogative), commands (imperative) or declarative (indicative). For example, when Jesus says, “You shall be My witnesses” (Acts 1:8), is He making a prediction of future performance or issuing a sovereign mandate? Though the English form is unclear, the Greek structure of the words makes it perfectly clear that Jesus is not indulging in future prediction but issuing a command. Other ambiguities of language can be cleared up and elucidated by acquiring a working knowledge of grammar. For example, when Paul says at the beginning of his epistle to the Romans that he is an apostle called to communicate “the gospel of God,” what does he mean by of? Does the of refer to the content of the gospel or its source? Does of really mean “about,” or is it a genitive of possession? The grammatical answer will determine whether Paul is saying that he is going to communicate a gospel that comes from and belongs to God. There is a big difference between the two, which can only be resolved by grammatical analysis. In this case the Greek structure reveals a genitive of possession, which answers the question for us. Source Criticism – For example if we follow the notion that Mark was the first Gospel written and that Matthew and Luke had Mark’s Gospel in front of them as they wrote, many of the questions of the relationship of the Gospels can be explained. We see further that both Luke and Matthew include certain information that is not found in Mark. Thus it seems that Luke and Matthew had a source of information available to them that Mark did not have or did not choose to use. Examining further, we find certain information found in Matthew that is found neither Mark nor Luke, and information that is in Luke that is found only in Luke. By isolating the material found only in Matthew or only in Luke, we can discern certain things about their priorities and concerns in writing. Knowing why an author writes what he writes helps us to understand what he writes. In contemporary reading it is important to read the author’s preface because the reasons and concerns for writing are usually spelled out there. Authorship and Dating – If we know who wrote a particular book and know when that person lived, then of course we know the basic period when the book was written. If we know who wrote a book, to whom, under what circumstances and at what period of history, that information will greatly ease our difficulty in understanding it. By using methods of source criticism we can isolate materials common to particular writes (e.g. – most of the material we have about Joseph is found in Matthew because he was writing to a Jewish audience and the Jews had legal questions concerning Jesus’ claim of messiah-ship. Jesus’ legal father was Joseph, and that was very important for Matthew to show in order to establish the tribal lineage of Jesus). Grammatical Errors – When Martin Luther said the “Scriptures never err,” he means that they never err with respect to the truth of what they are proclaiming. *Adapted from Chapter 3: Hermeneutics: The Science of Interpretation from R.C. Sproul. Knowing Scripture. IVP: Downers Grove, IL. : 2009.